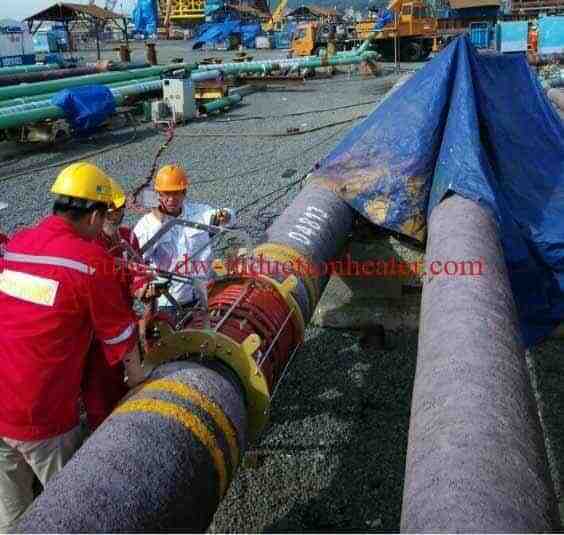 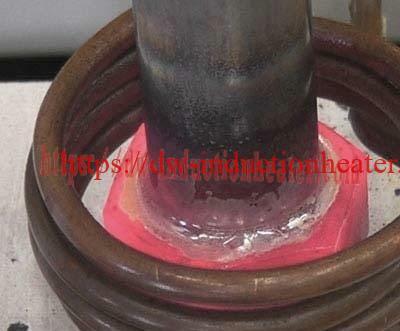 Objective Prior to cutting, heat a short section of a hardened steel cable coated with a polyethylene sheathing. 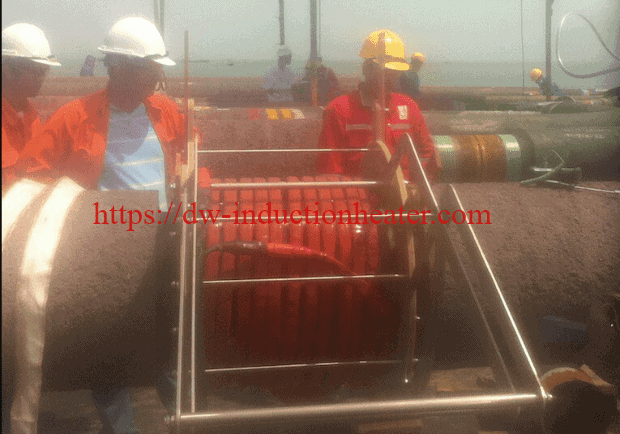 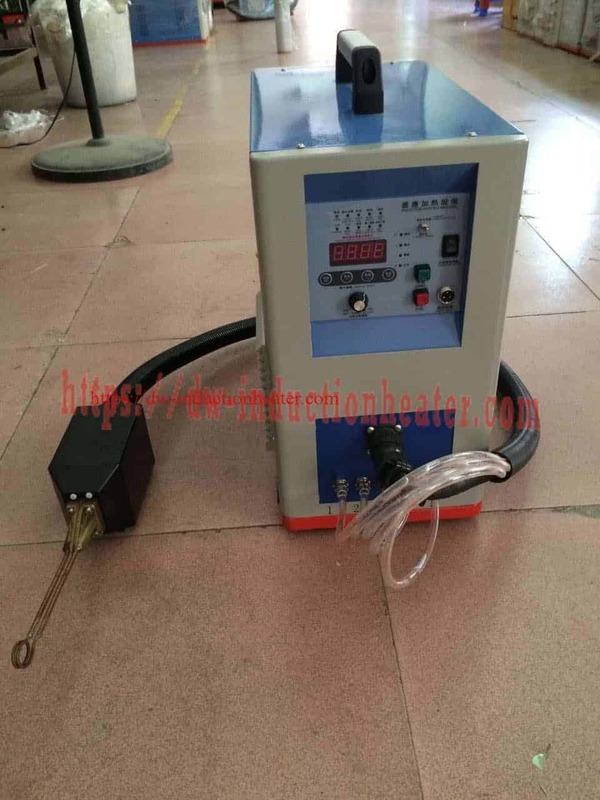 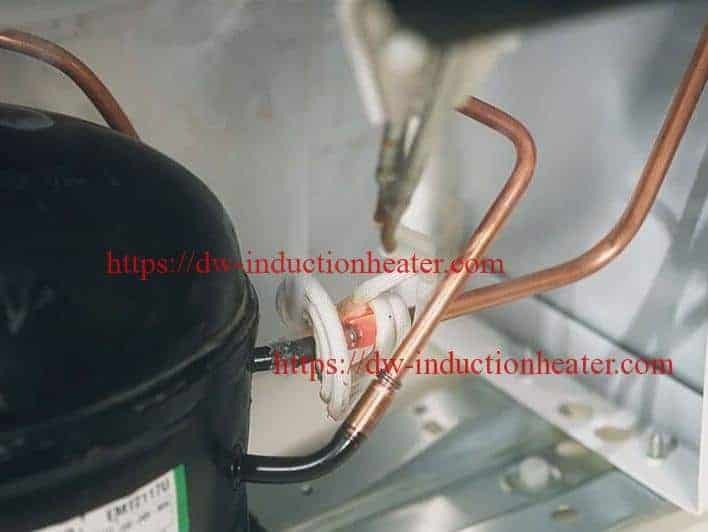 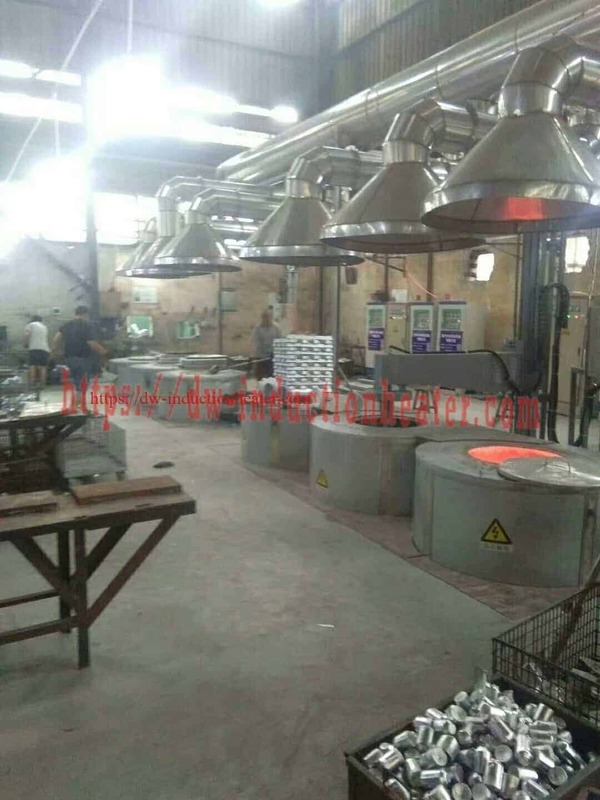 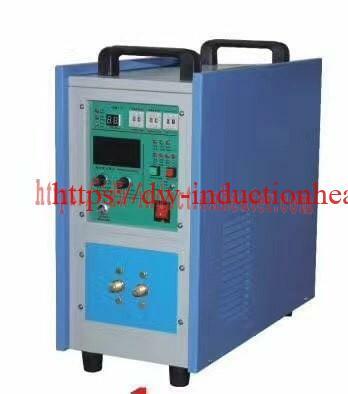 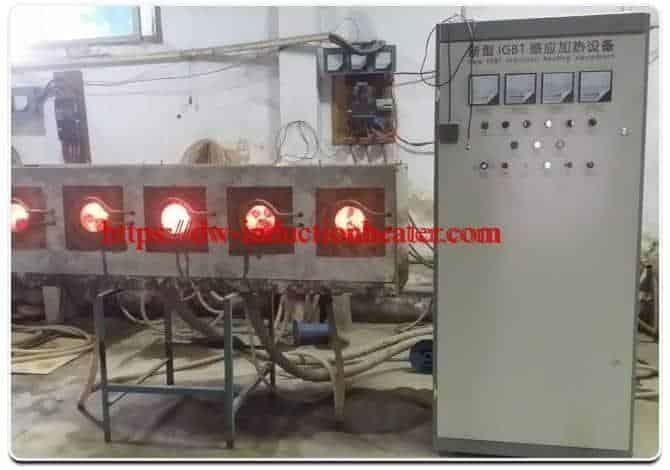 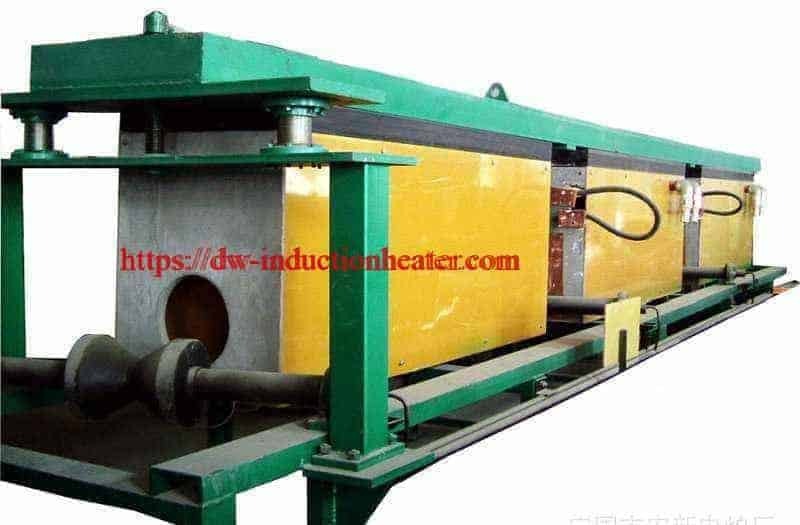 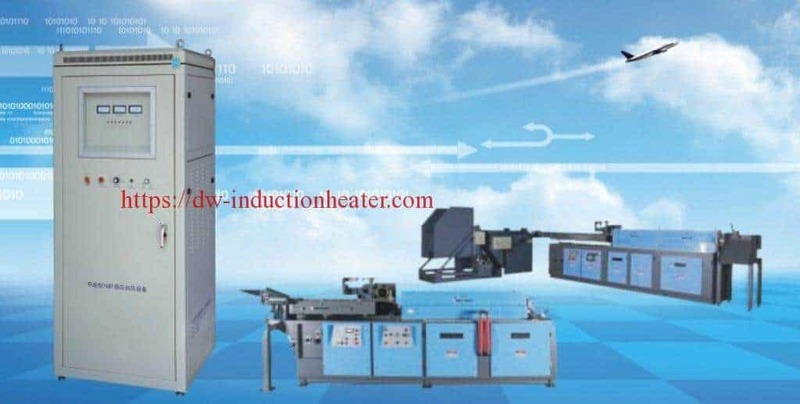 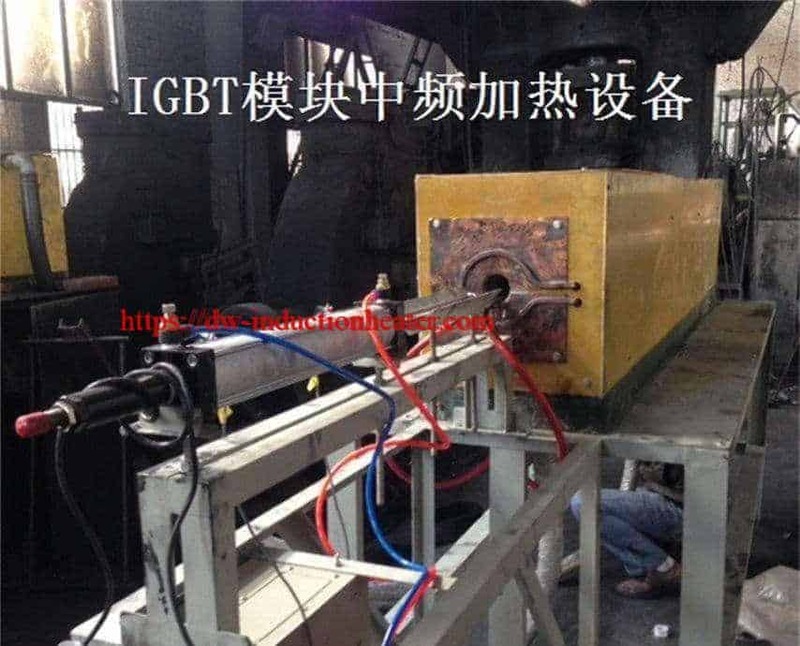  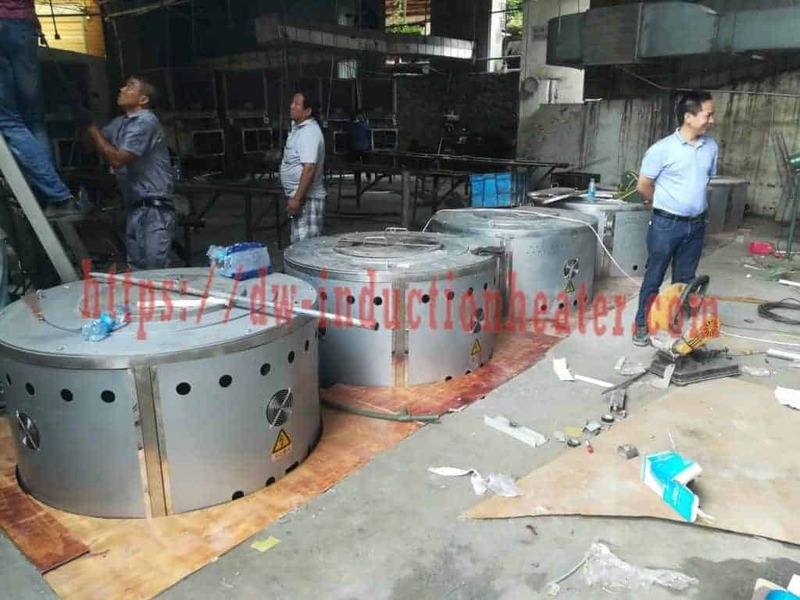 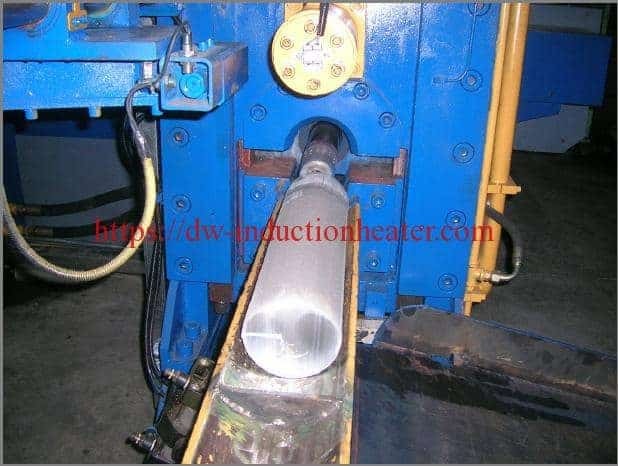 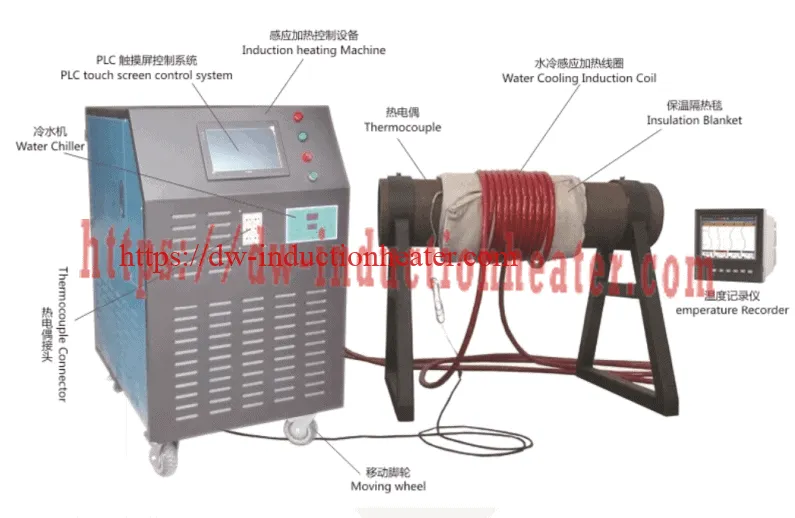 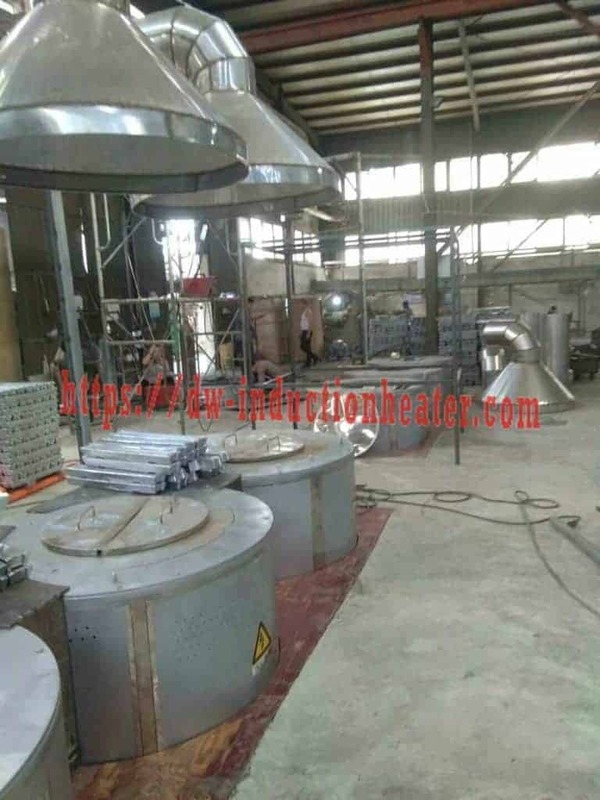 Equipment • DW-UHF-20kW induction heating system, equipped with a remote workhead containing four (4) 1.0 μF capacitors (for a total of 1.0 μF). 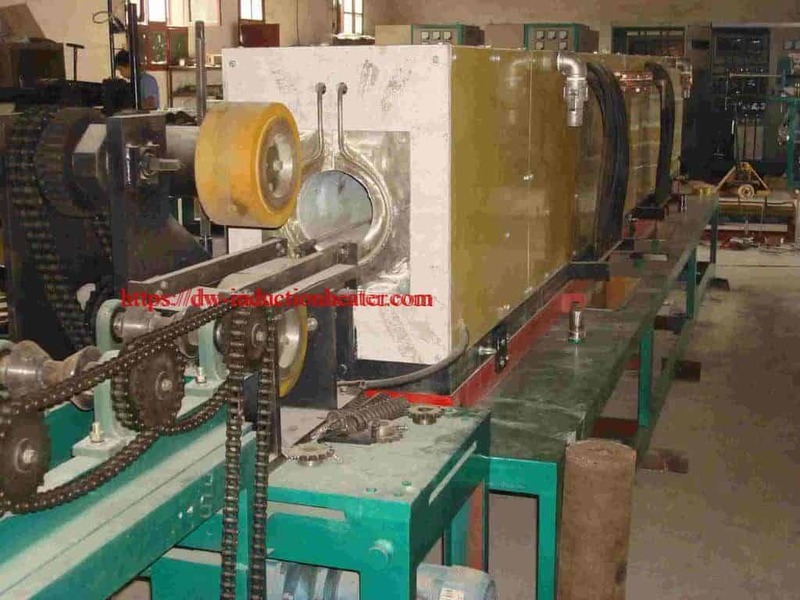 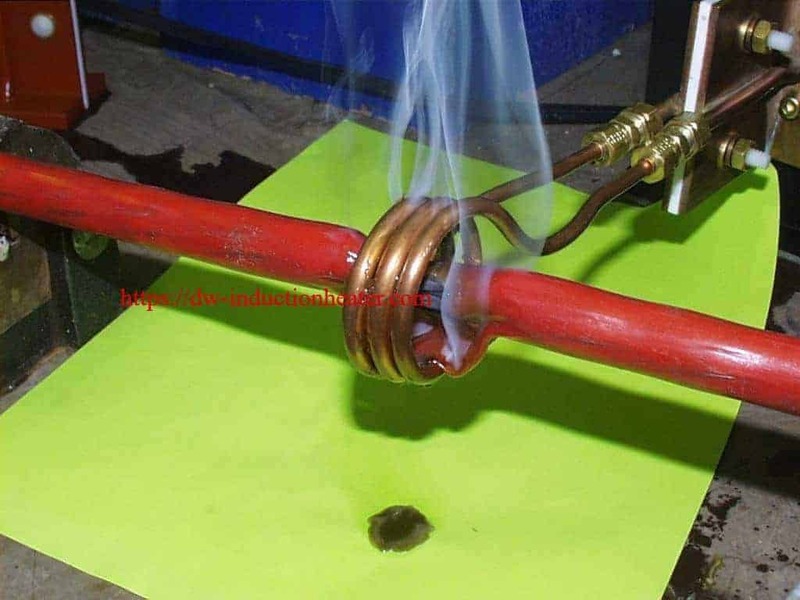 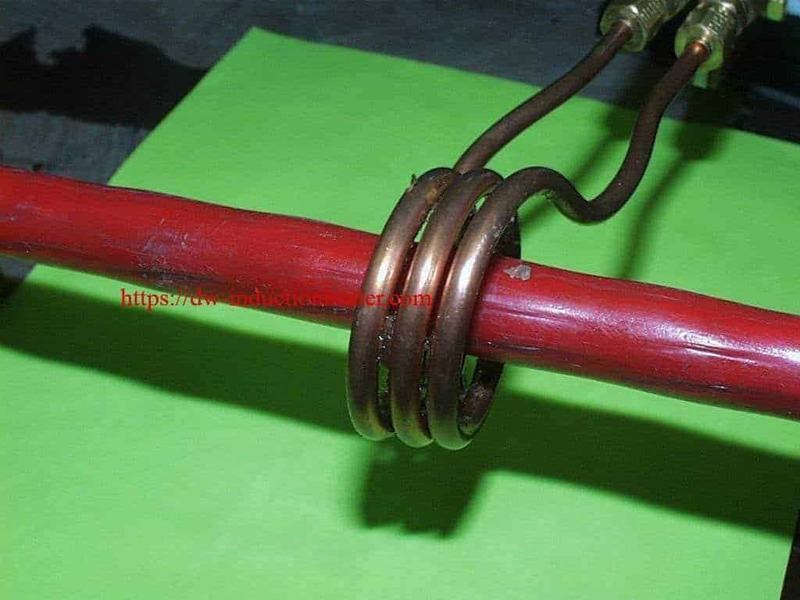 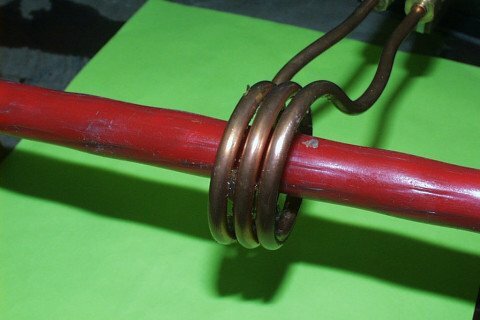 Process A three-turn helical coil is used to heat the cable in approximately 2 seconds. 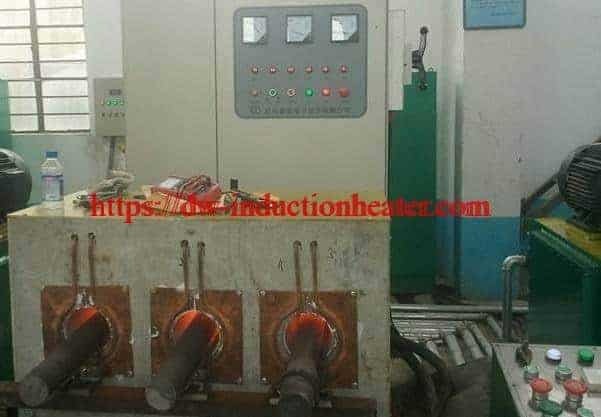 After the power is turned off, the heat is then transferred to the sheathing. 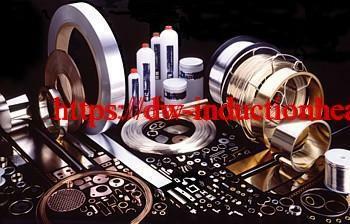 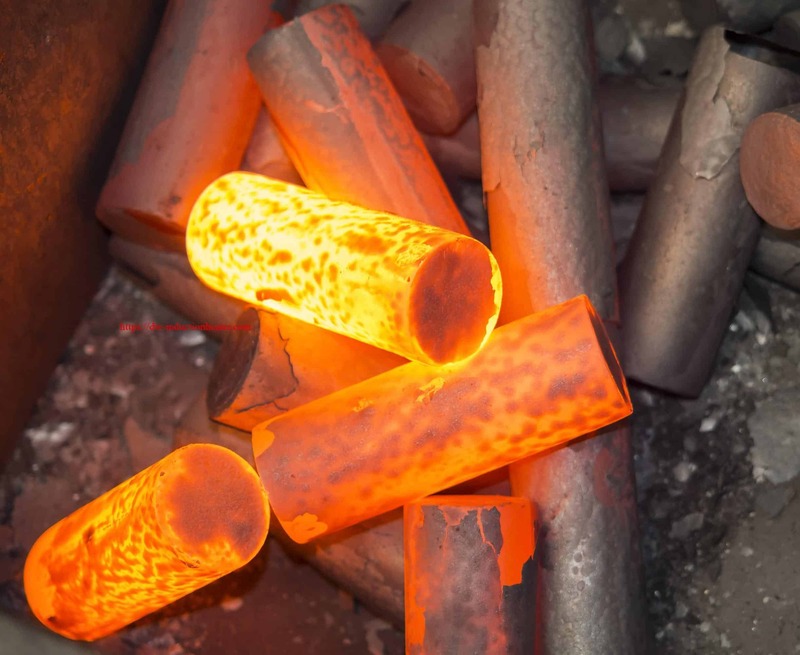 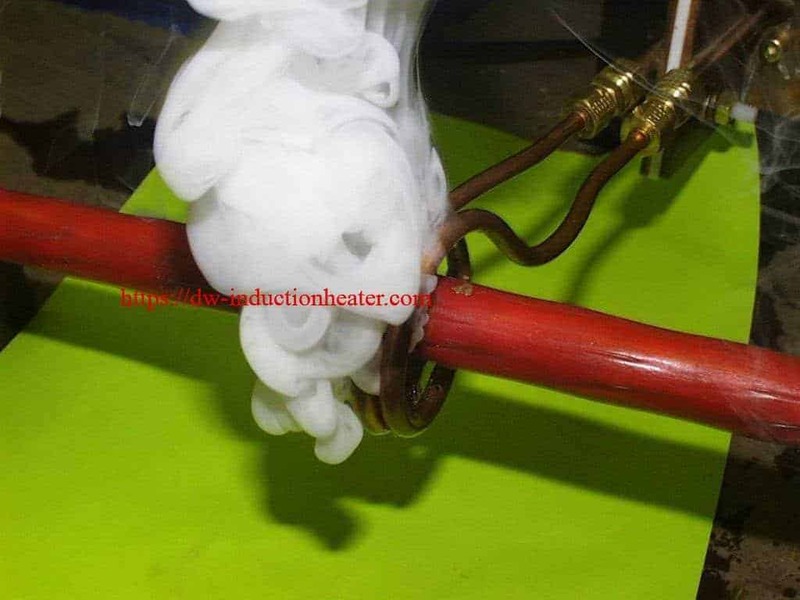 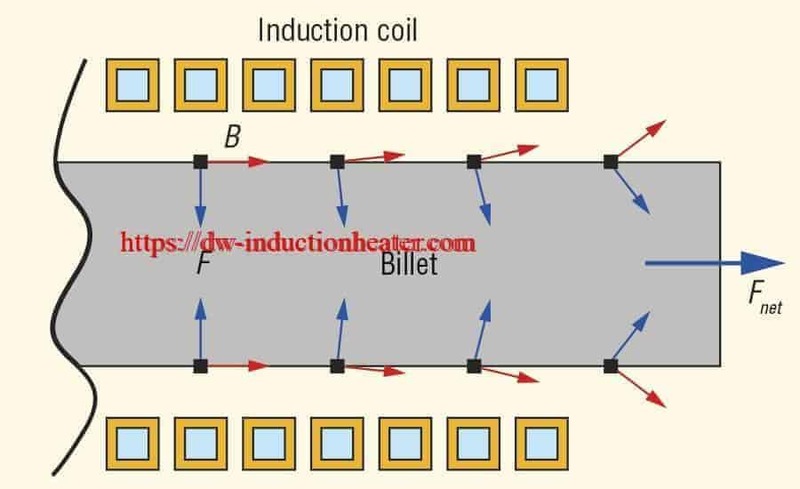 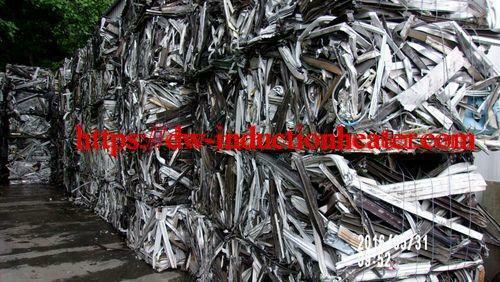 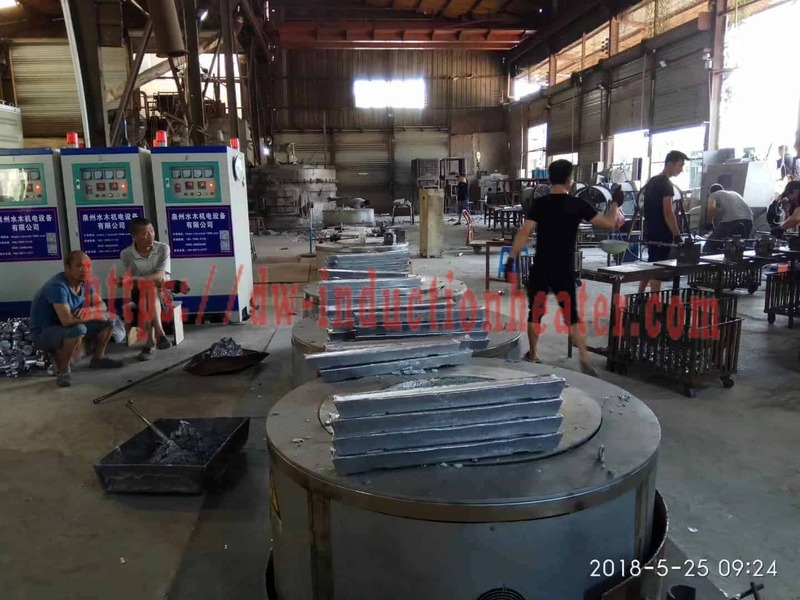 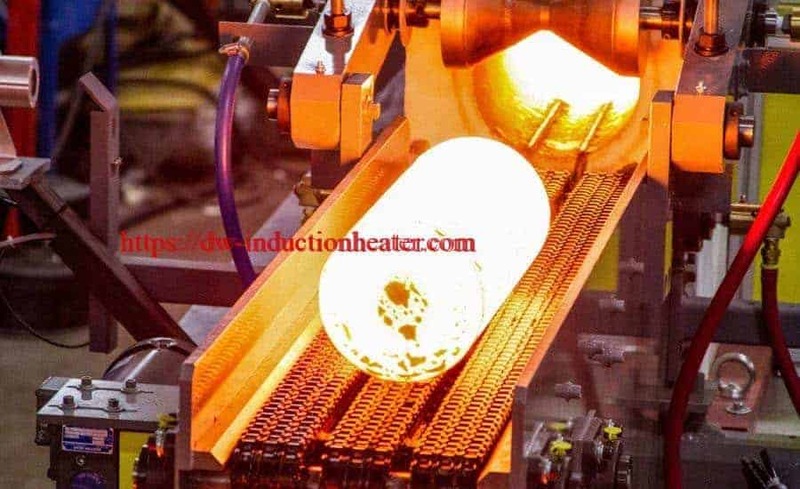 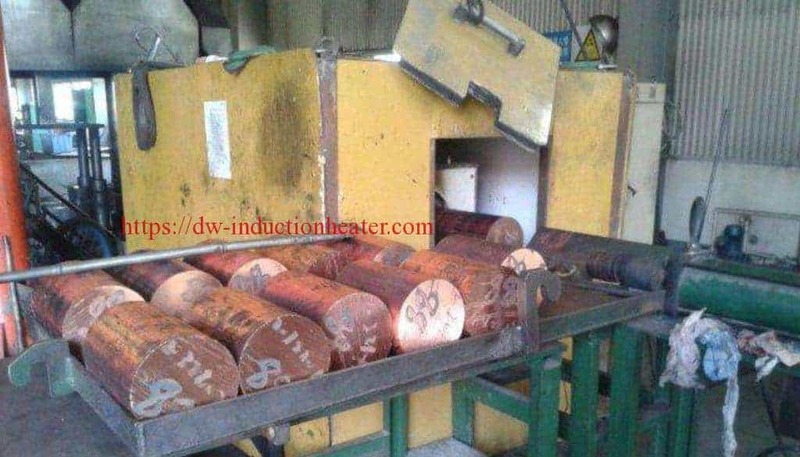 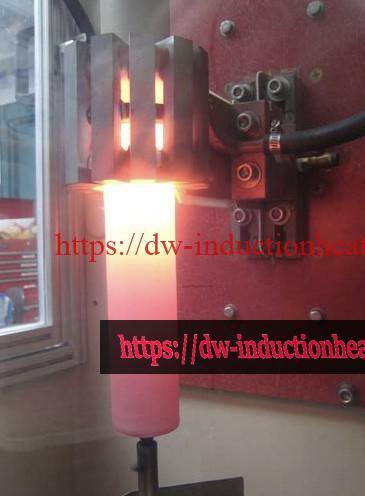 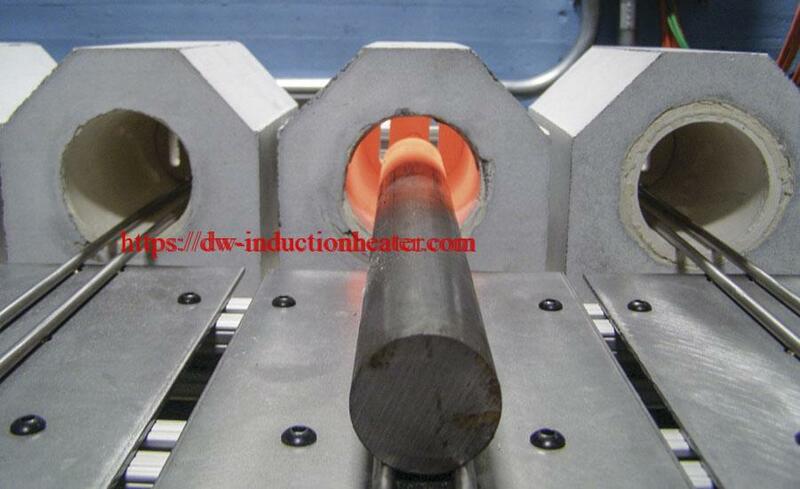 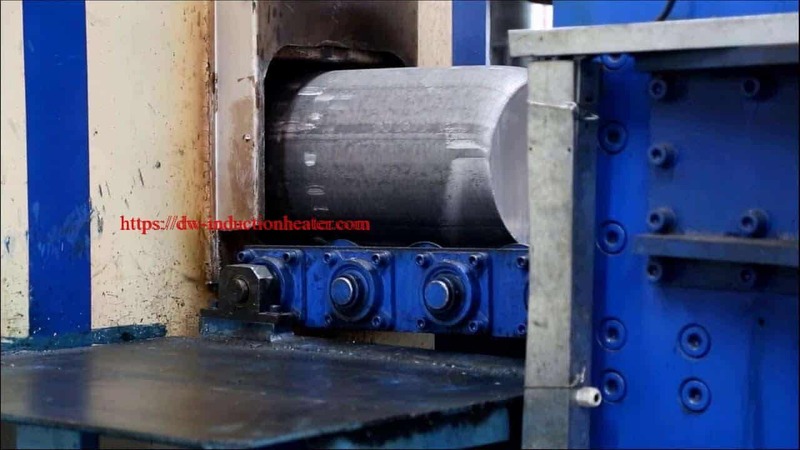 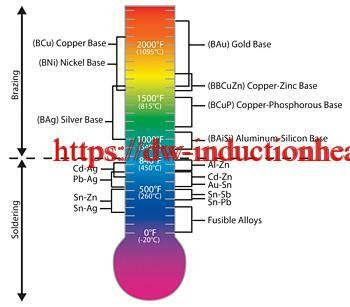 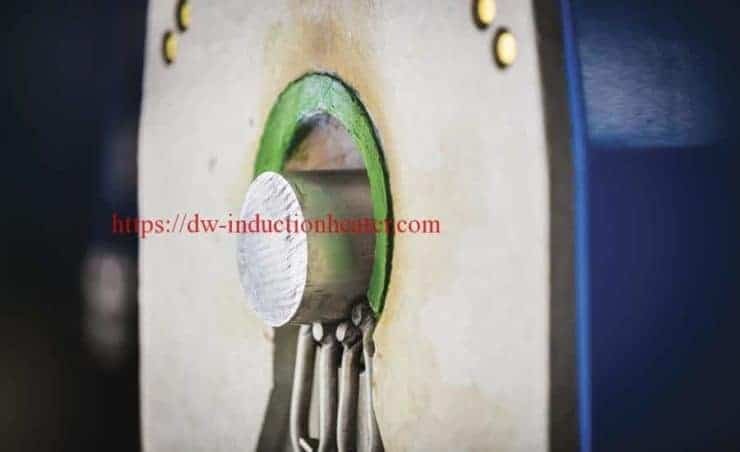 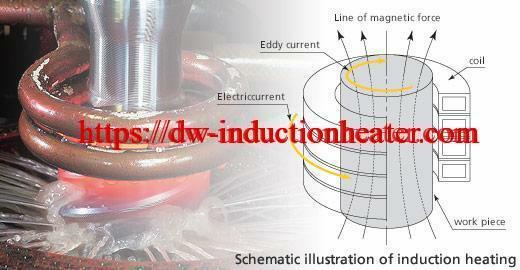 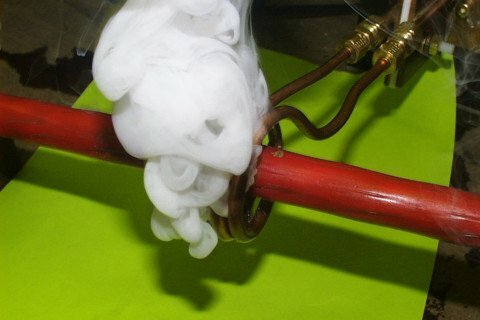 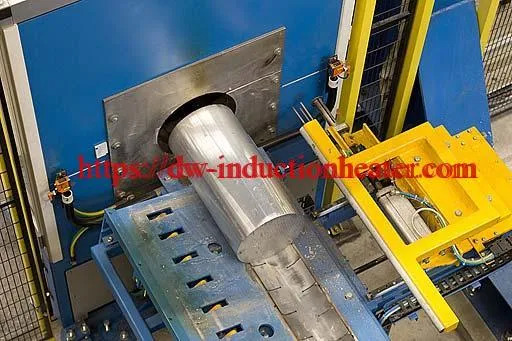 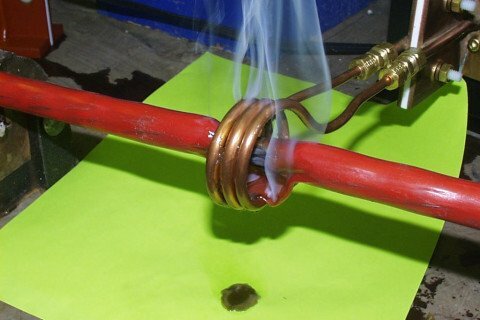 Results/Benefits Induction heating provides a quick, precise repeatable method to reach the high temperature required. 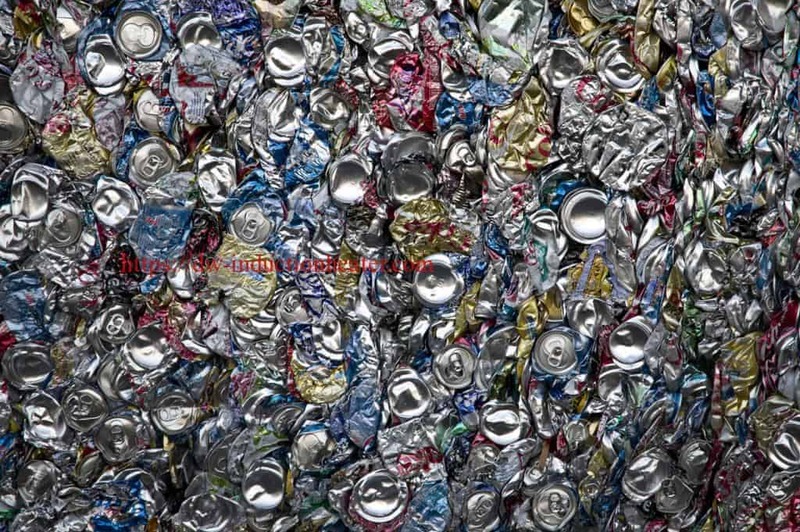 It is a very efficient heating method.